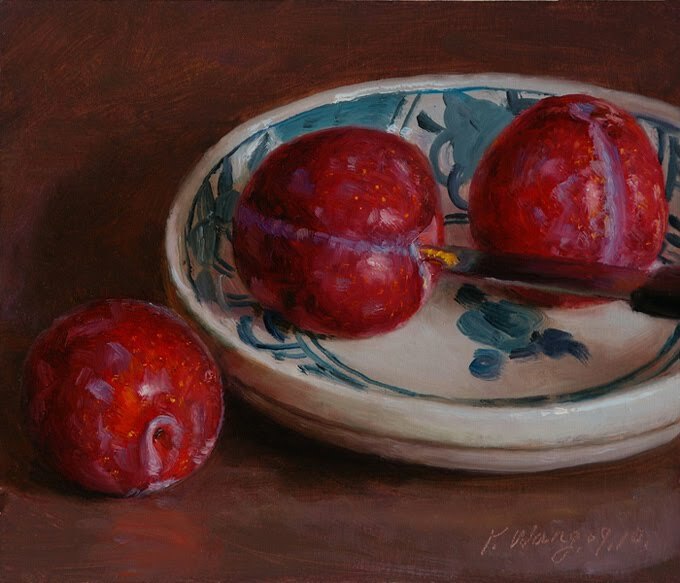 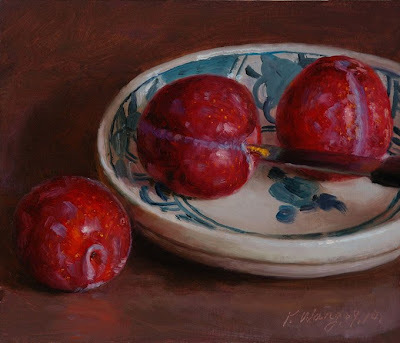 plums in a plate, 5x6 in. 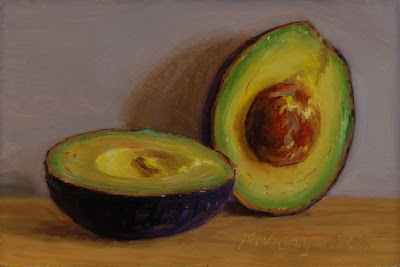 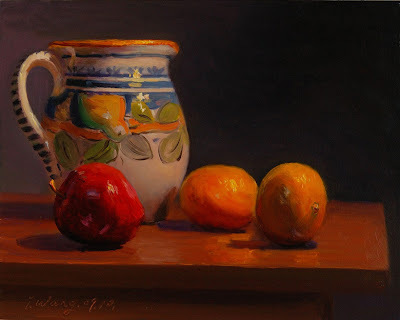 still life under night light, 8x10 in. 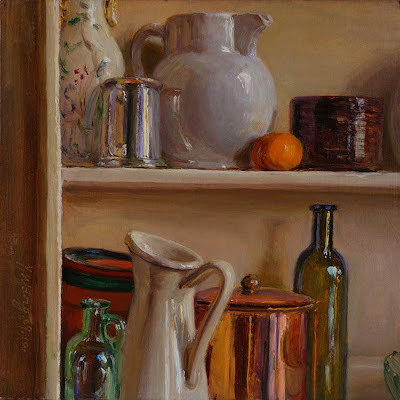 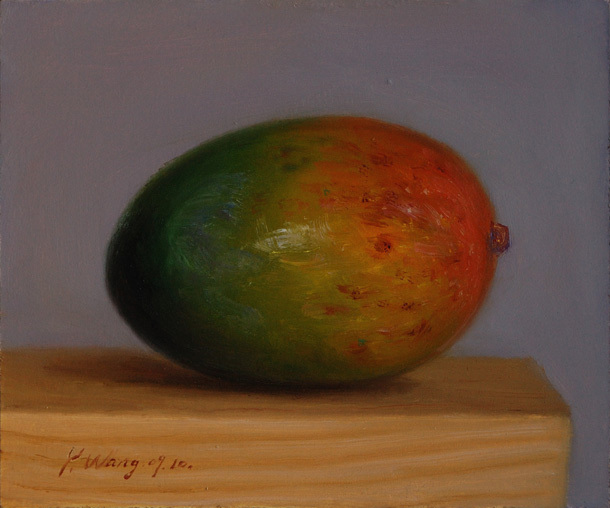 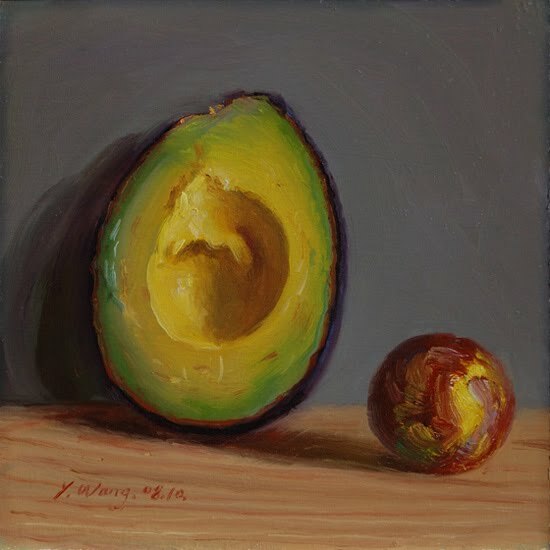 still life on shelf, 8x8 in. 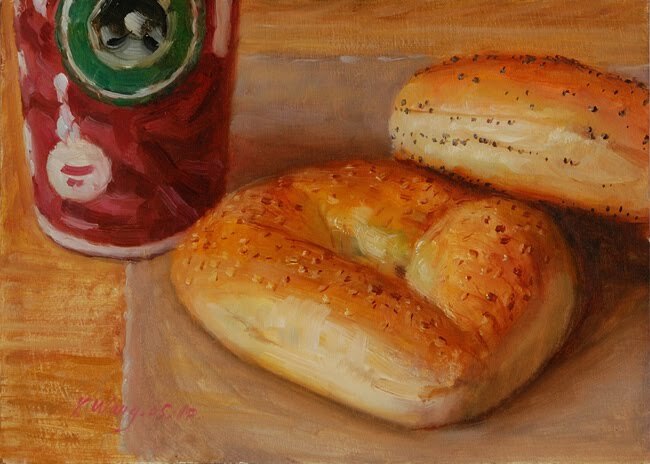 bagels with coffee, 5x7 in. 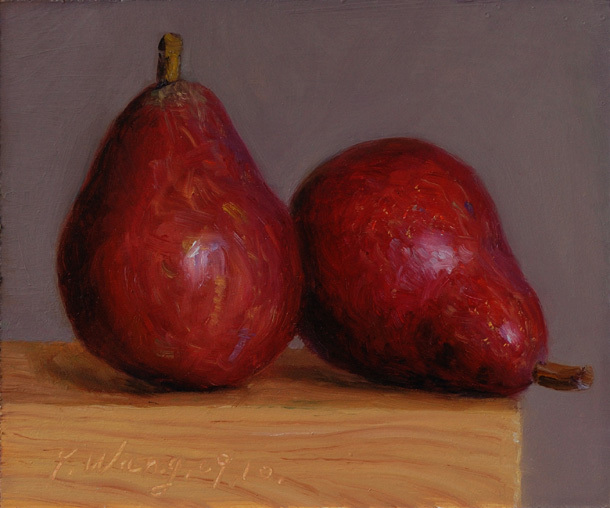 2 red pears, 5x6 in. 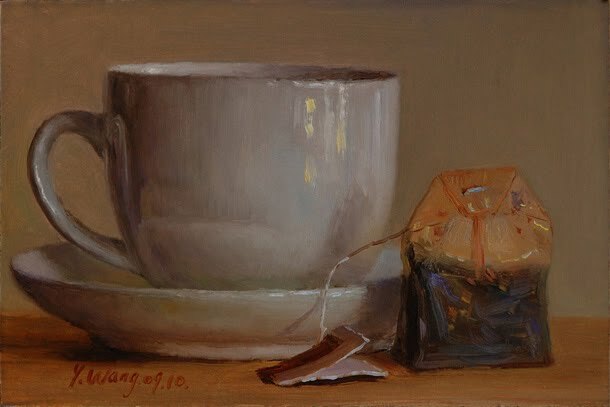 still life with a cup and a tea bag, 4x6 in. 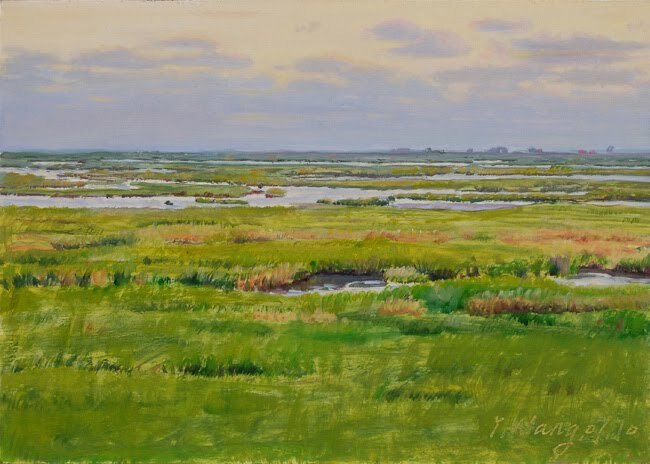 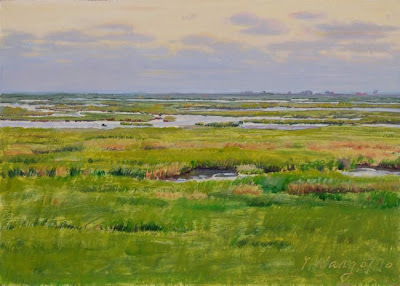 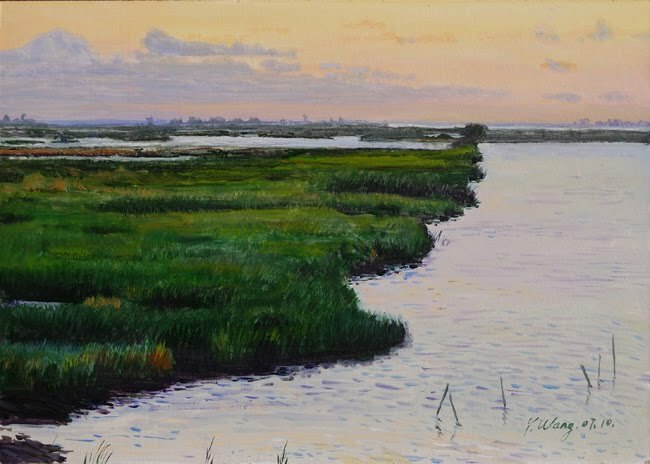 the marsh No. 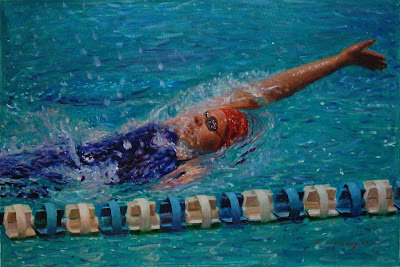 2 , 5x7 in. 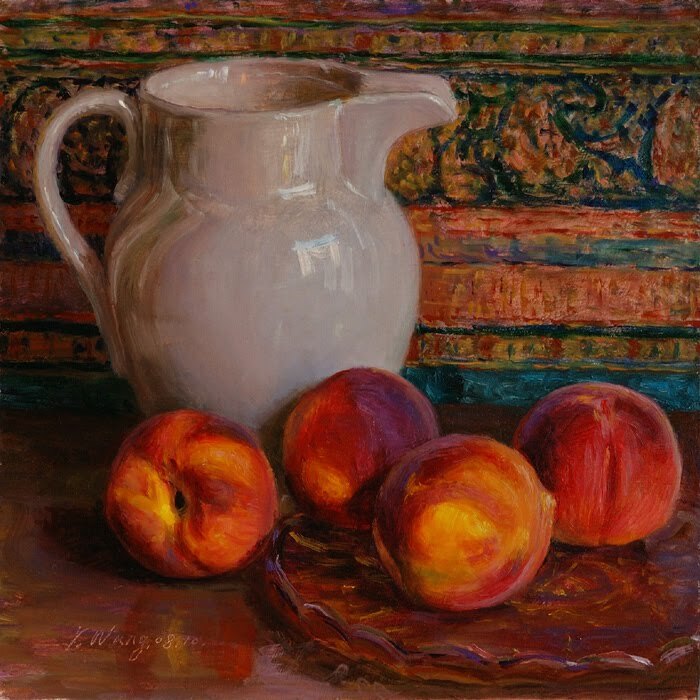 This is the second version of the peaches and pitcher, I painted a similar one with cala lily, peaches and pitcher which was posted earlier. 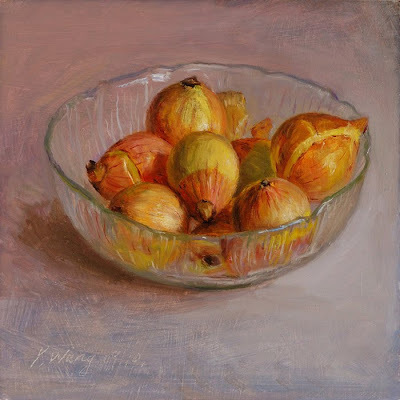 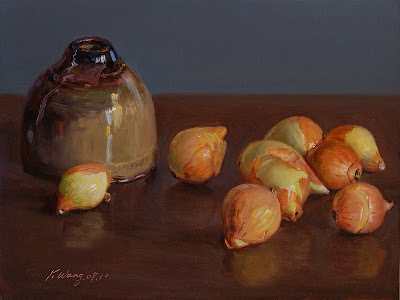 onions in a glass bowl, 8x8 in. 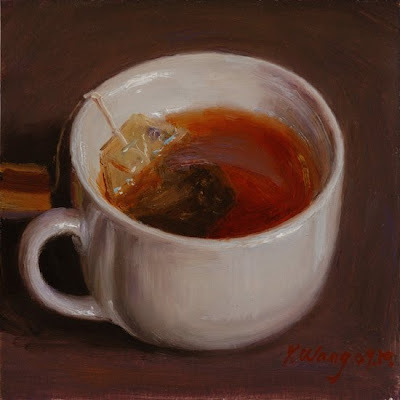 a cup of tea, 5x5 in. 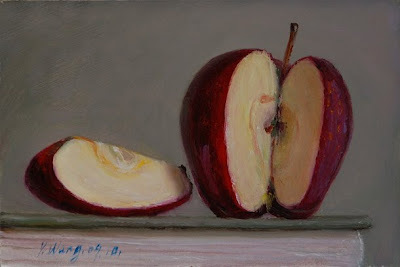 apple on a book, 4x6 in. 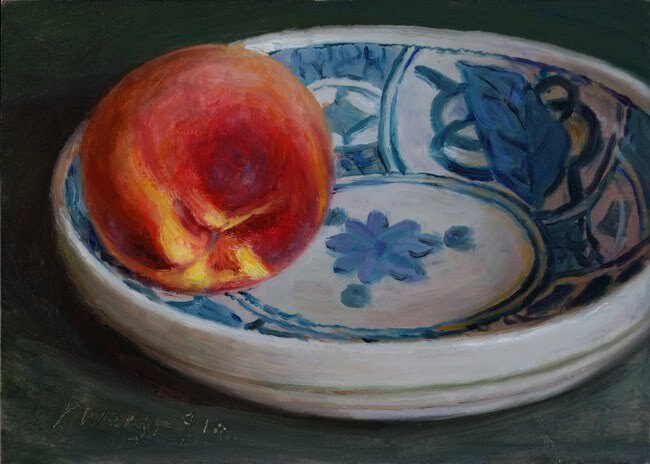 a peach in a plate withe blue patterns, 5x7 in. 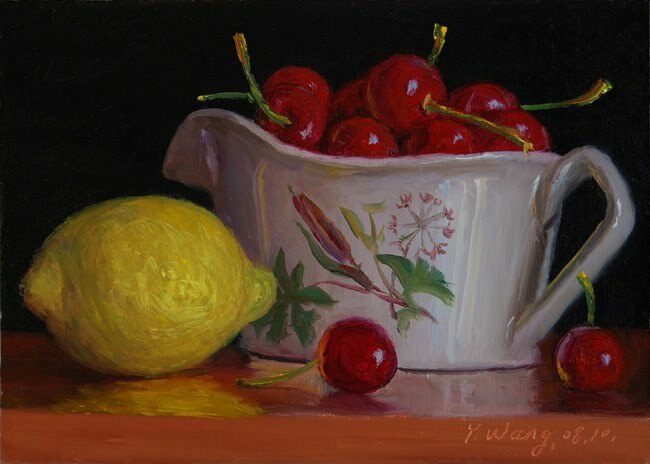 still life with cherries and a lemon, 5x7 in. still life with tangerines and an oriental vase, 8x10 in. 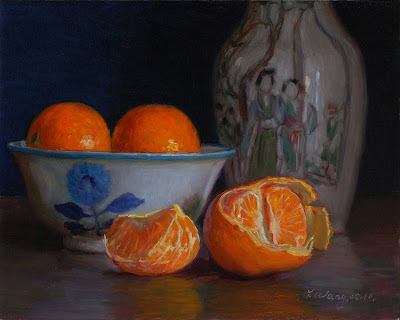 still life with watermelon and oranges, 9x12 inches. 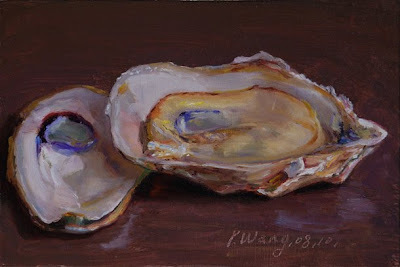 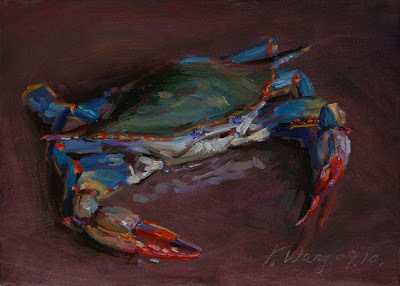 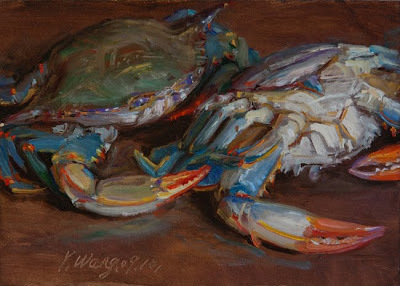 a blue crab, 5x7 in.